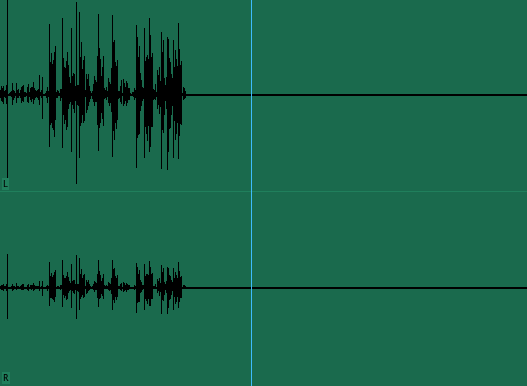 I recently experienced a shock when I discovered one of the clips in my Premiere Pro project was missing ~90% of its audio. This was a clip I had shot myself, so I knew the audio had been recorded properly. But for some reason, a few minutes into the clip, it just disappeared. This is a camera, SDHC card, and transcoding workflow I have used 100’s of times; I have never had a problem like this. Still, I was much relieved knowing the audio was there; now it was just a matter of getting to it. I long ago ditched Final Cut Studio, so Compressor is no longer on my machine. And with MPEG Streamclip dead in the water, I had to begin looking for alternatives. And that’s when I came across Free AVCHD to Mov on the App Store. I hate installing junk I don’t trust – especially ad-supported junk – but I needed a solution. So I gave it a shot, and it performed beautifully. With a simple interface that I probably could have figured out if I didn’t happen to be a professional editor, it grabbed the clip and transcoded it to ProRes 422LT with perfect audio. 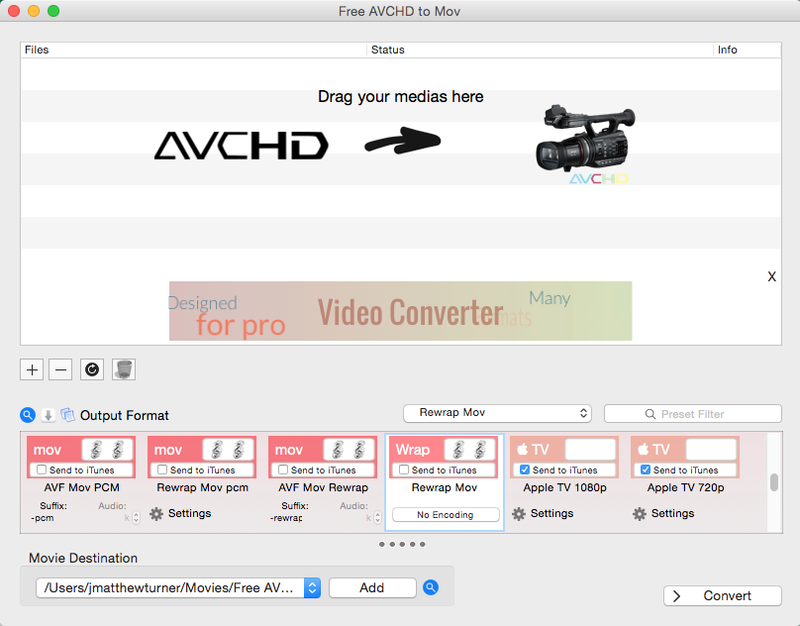 In any case, consider this my love letter to Free AVCHD to Mov. Thanks, bro!